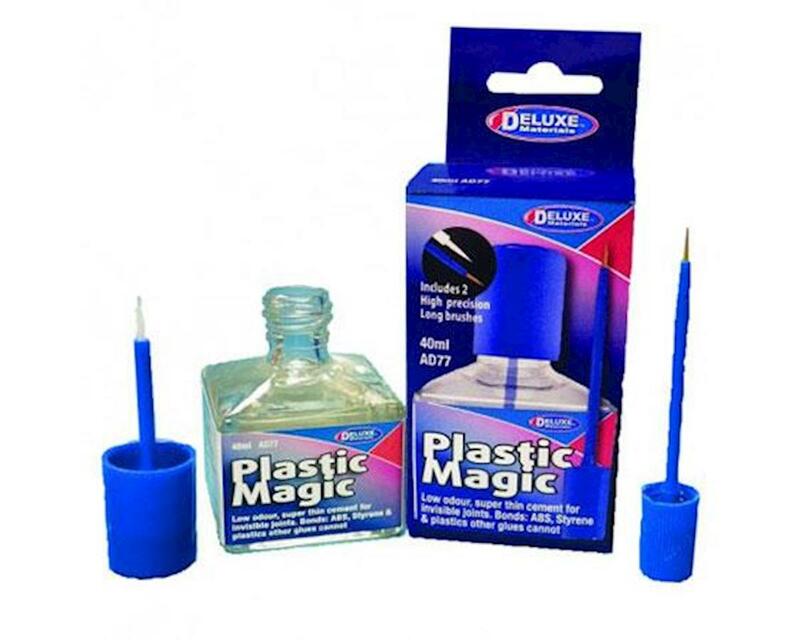 Deluxe Materials Plastic Magic is a liquid solvent glue that produces invisible glue lines. This formula can be applied with the Deluxe Materials Pin Flow solvent glue applicator (AC11) or conventionally with a fine paint brush. Plastic Magic bonds nearly all commonly used modelling plastics including polyester, acrylic, styrene, ABS, PVC, butyrate, and polycarbonate.